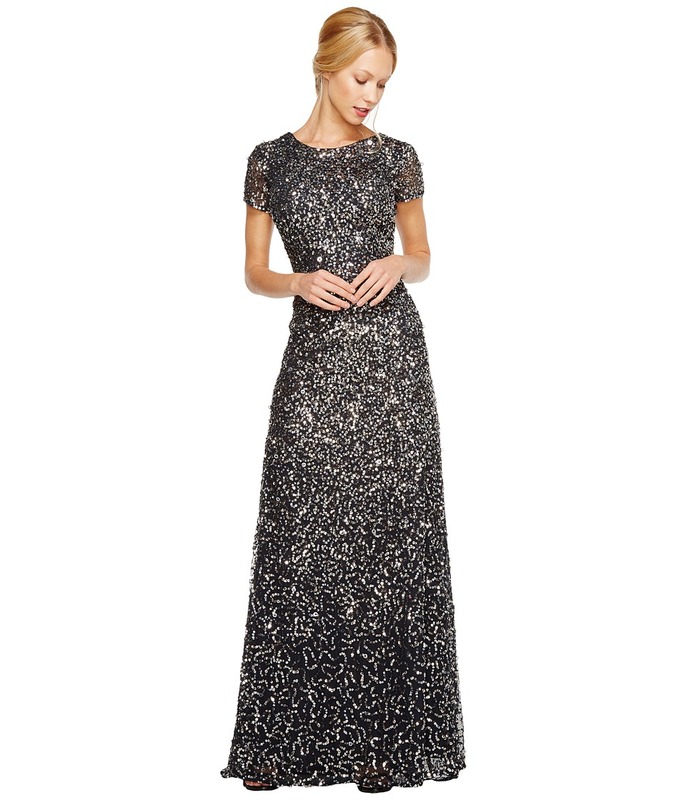 Be the belle of the ball in this striking Adrianna Papell gown. Intricate beading decorates this gorgeous floor-length gown. Round neck and cap-sleeve construction. Semifitted silhouette. Scoop back. Zip closure at back. Elegant train for a sophisticated look. Fully lined. 100 percent polyester Lining: 100 percent polyester. Dry clean only. Imported. Measurements: Length: 67 in Product measurements were taken using size 6. Please note that measurements may vary by size.